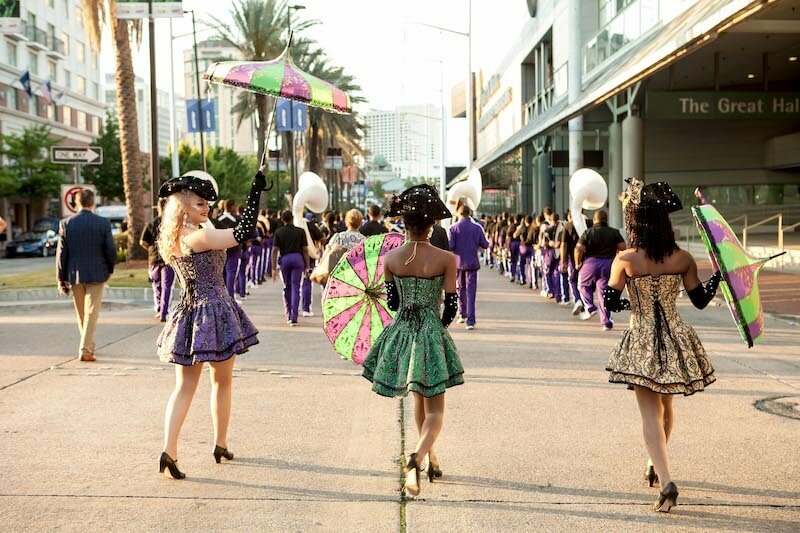 Parades offer an exciting and different way to transport guests from any location to the final destination. 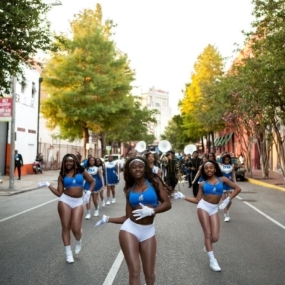 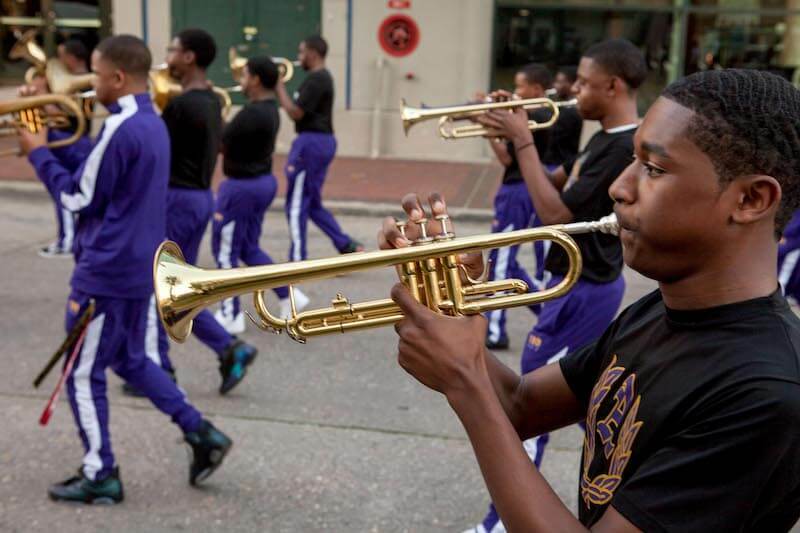 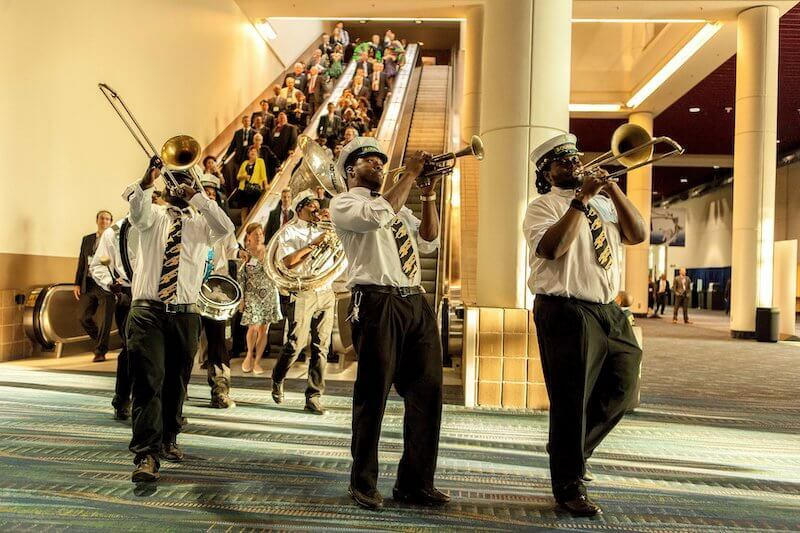 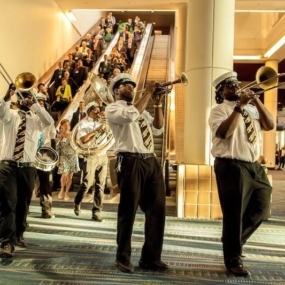 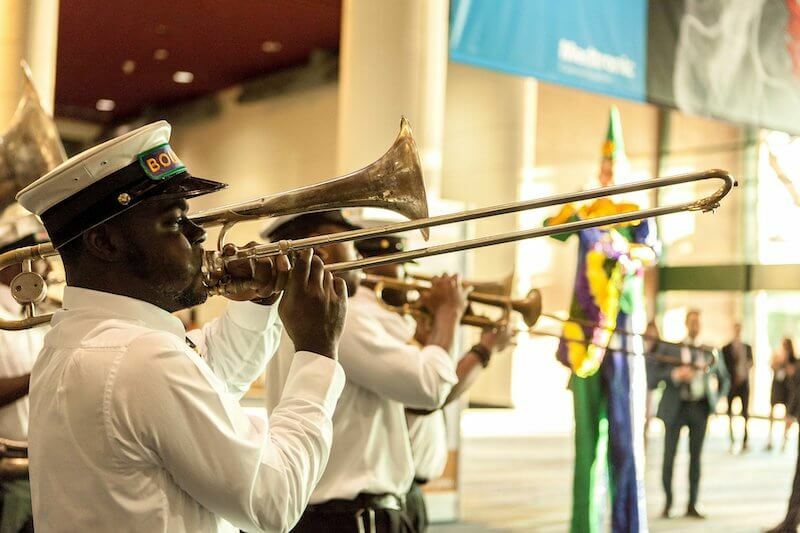 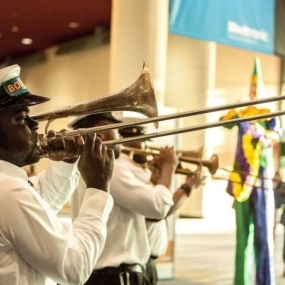 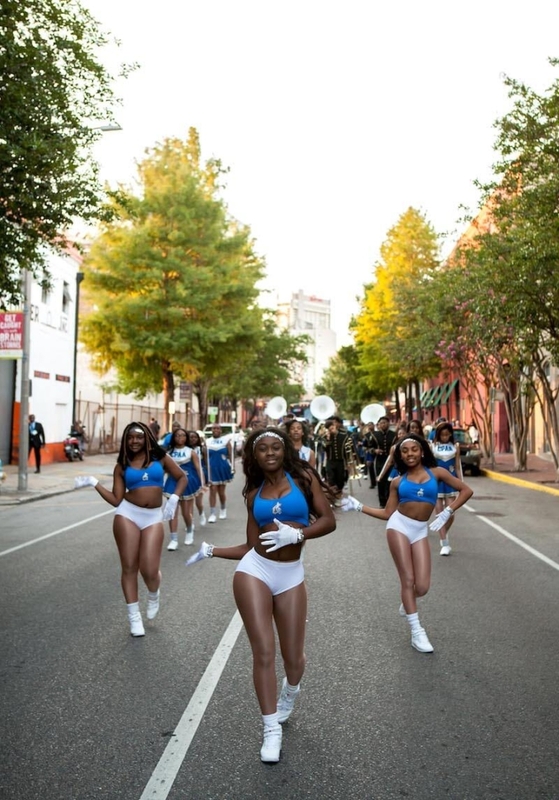 Let your imagination run wild…Guests are greeted by the thunderous sounds of a 30-40 piece high school marching band OR a brass marching band. 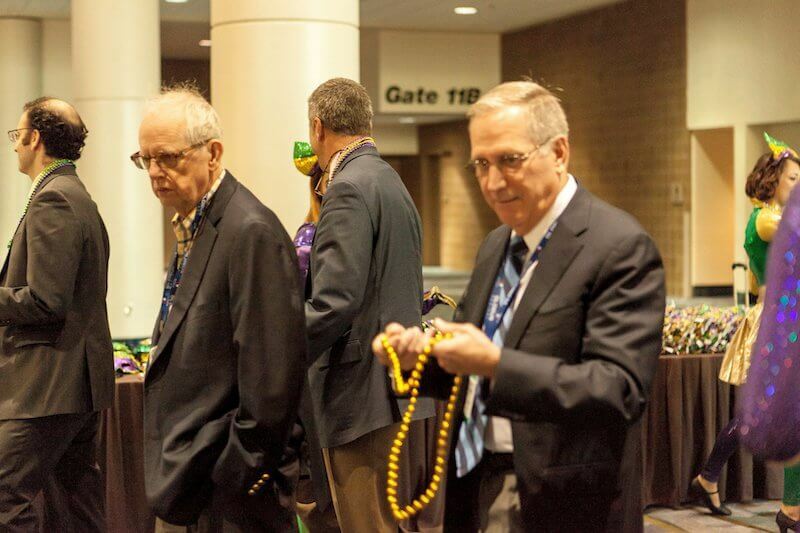 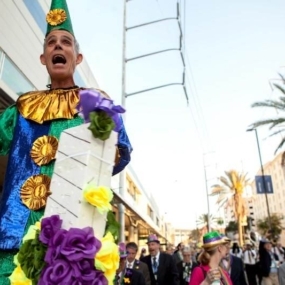 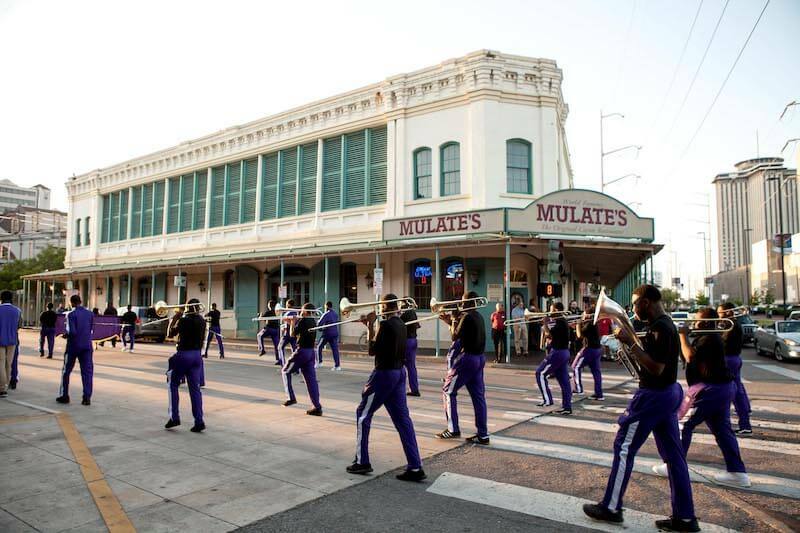 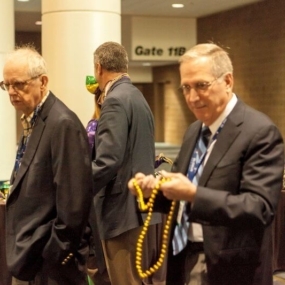 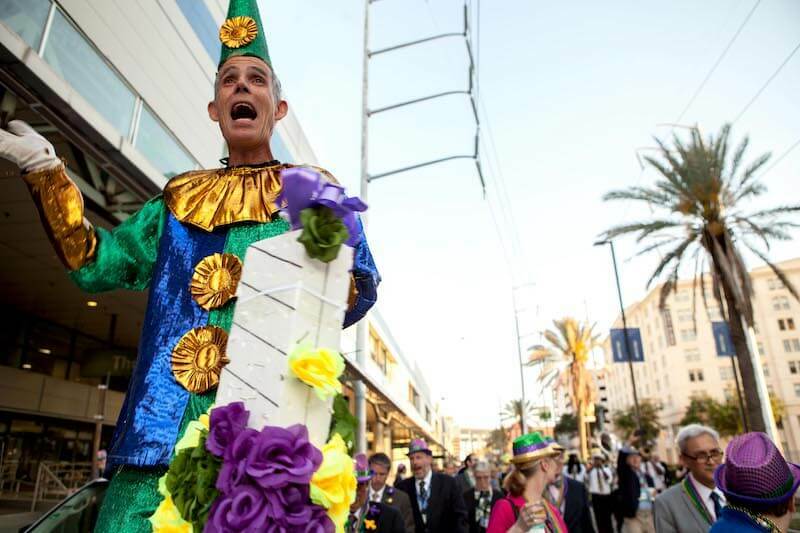 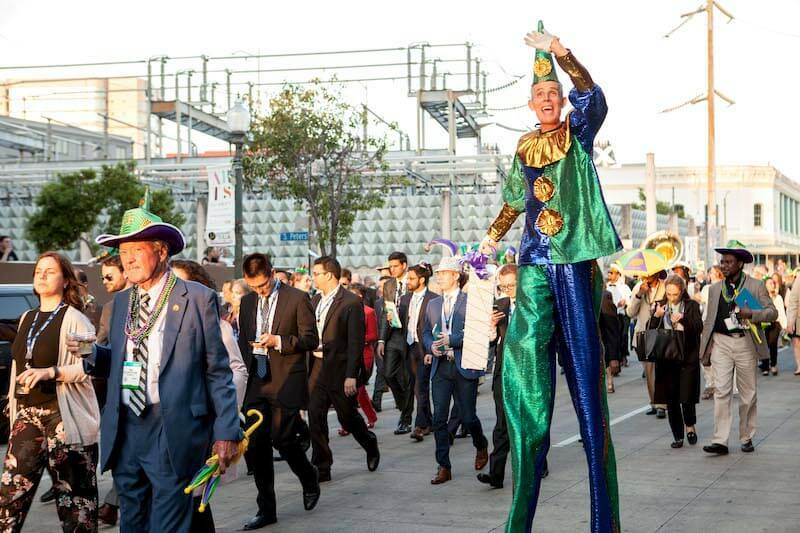 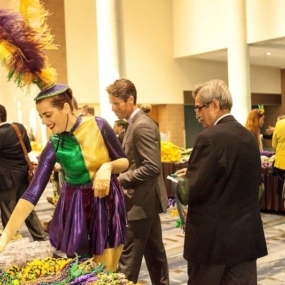 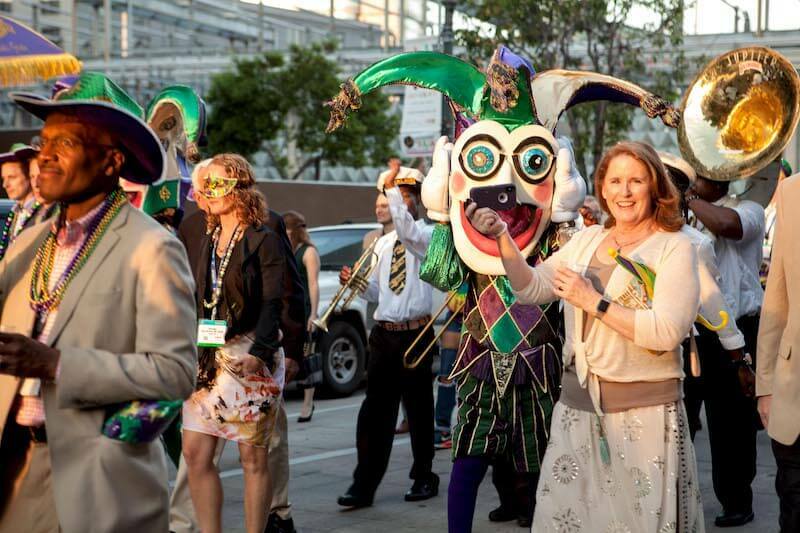 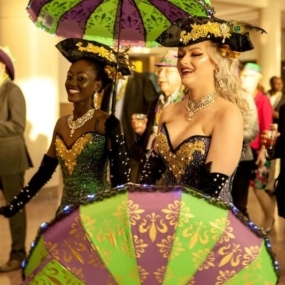 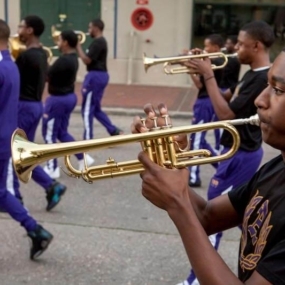 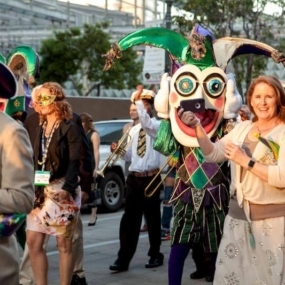 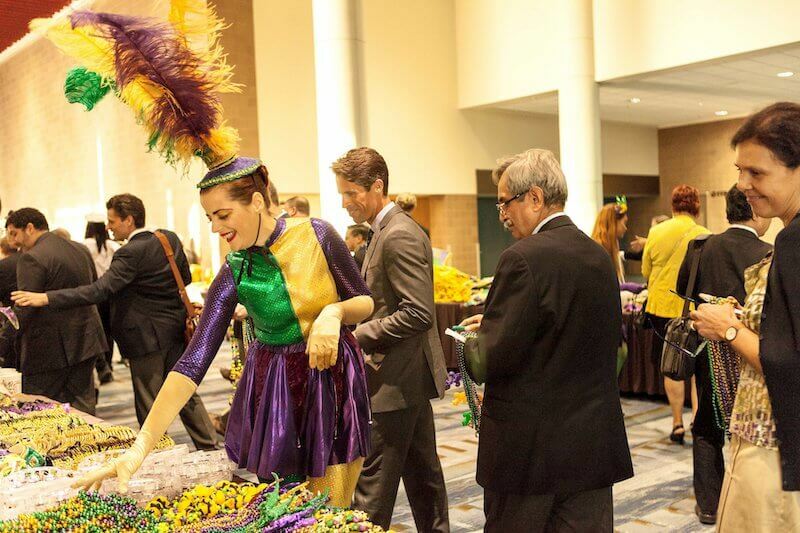 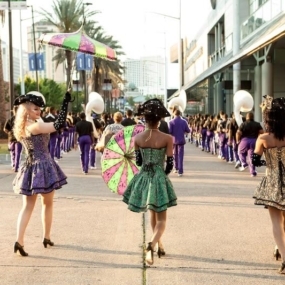 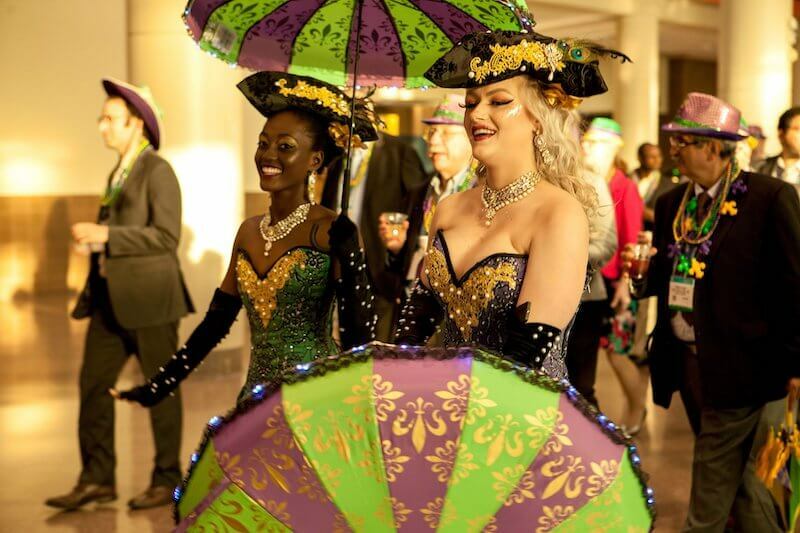 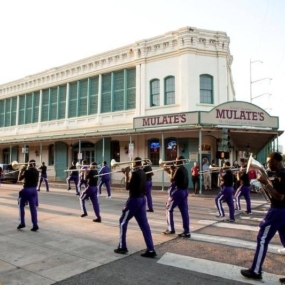 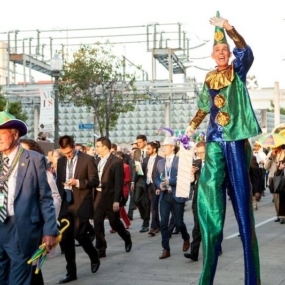 To make it feel even more like a true Mardi Gras parade you can add Mardi Gras Jesters, Mardi Gras King Big Heads, Stilt Walkers, Costumed Revelers and Mardi Gras beads to toss to bystanders as you parade through the streets of New Orleans!